On 15th July 2015, countries across the globe celebrated the first World Youth Skills Day. 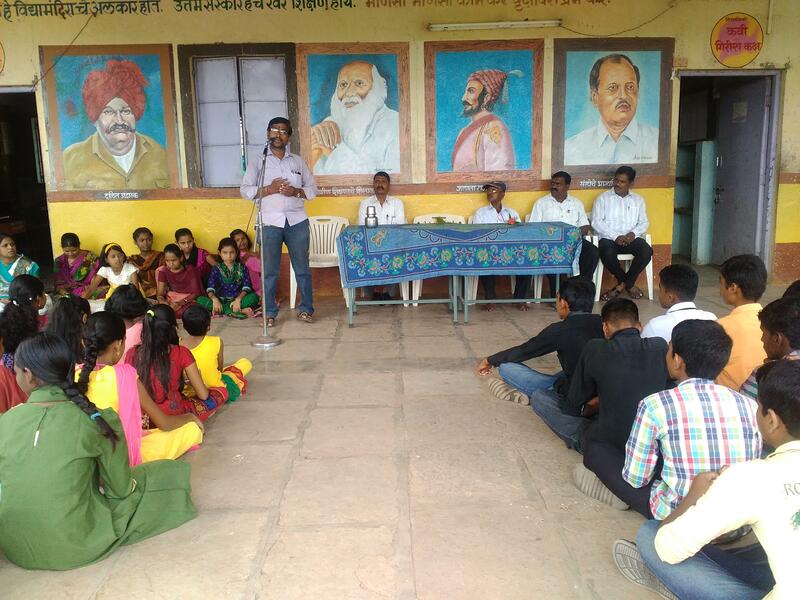 Koleshwar Vidyalay, a high school situated in the bustling little town of Tandulwadi, Maharashtra, too had planned a small program to mark the day. Associated with Lend-A-Hand India for 7 years now, they have been enthusiastic providers of skill education to their students. Students have been encouraged to apply their acquired skills in innovative and marketable projects, and several opt for technical education on graduation. It was only natural then that they chose to formally celebrate World Youth Skills Day. The school invited a local entrepreneur, Vijay Thorat to speak with the students and also to felicitate the Instructors who teach our multi skill vocational course in this school. Posted byLend A Hand India July 22, 2015 July 22, 2015 Posted inStories from the FieldTags: IBT, MSFC, NSQF, WYSDLeave a comment on Celebrating Skills, Hands On! “I didn’t know there was such a big industrial zone, let alone so close to my village,” gushes 13 year old Karishma Mehboob Pathan. “And then to have presented our ideas to the bosses of big companies! It was nerve racking but exciting,” she shares as her other classmates nod in agreement, bursting to share their own experiences. Often we underestimate the cognitive capacities of children and hence, perhaps, the emphasis on listening and learning, than enabling them to think. However, as a part of the Introduction to Basic Technology(IBT) curriculum, students in their second year are required to undertake a practical project that would translate their knowledge to goods, or services, for the school, villagers or community at large.The aim is not just to practice what they study, but also to inculcate a habit of thinking big and beyond. Consider this venture of 14 students from Class 10 of Shri B.B.M. High School, Bidada – a village in western Kutch, Gujarat.